Brisbane house prices are holding in the face of a declining national property market, showing a small increase to the median price, new figures show. As house prices in Australia’s two biggest cities fall deeper into a downturn, the Brisbane local government area is bucking the trend, showing a small quarter-on-quarter median house price rise from $668,000 to $670,000. The latest Domain House Price Report for the December 2018 quarter showed national house prices had the steepest annual fall in 15 years, shrinking back to mid-2016 levels, while Sydney prices alone have fallen 11.4 per cent from the mid-2017 peak. Year-on-year, Brisbane LGA’s median house price flatlined, showing 0.0 per cent growth, while the figures for Greater Brisbane showed the annual median house price was down slightly by 0.1 per cent across the five LGAs, which include Brisbane, Ipswich, Redland, Moreton Bay and Logan. 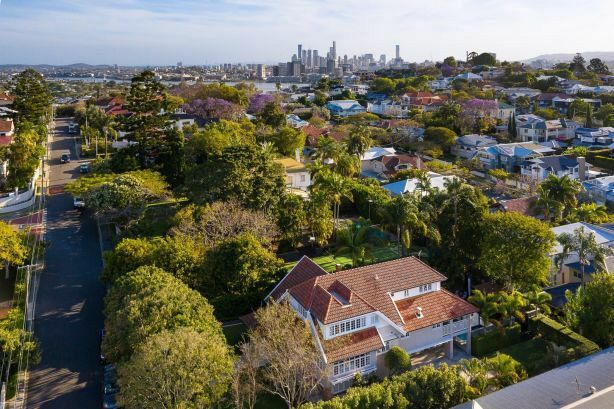 Domain senior research analyst Nicola Powell said while house price growth had stalled in Brisbane, the fact that prices were holding was a positive outcome for Brisbane in the context of what was happening elsewhere in Australia. “It is a better outcome than many other Australian capital cities have experienced, with Brisbane proving the fourth-best performer, behind Hobart, Adelaide and Canberra,” Dr Powell said. She said stricter lending conditions were the main impediment to Brisbane’s house prices, which would otherwise be rising. “Greater Brisbane house price growth evaporated by the end of 2018, with prices ultimately flatlining over the quarter and year … this provides further evidence that credit access is not only impacting Sydney and Melbourne, it is now having a marked effect on housing markets that would otherwise be growing,” she said. “A number of factors should provide better foundations for the housing market, as greater job prospects and an improved economic outlook draw residents to the state. Ray White Paddington agent Judi O’Dea said people needed to know that Sydney and Melbourne’s housing woes were not Brisbane’s. “People can mistake what’s happening in the southern states for what’s happening here, but it’s not the case,” she said. Ms O’Dea said she was not surprised by the subdued Brisbane figures, having seen a surplus of stock on the market in the lead-up to Christmas last year, but said there had been an uptick in activity over January. “I’ve been back for two weeks and there is a feeling of more certainty and optimism in the Brisbane market,” she said. “The way the year ended, there was quite a bit of stock on the market. It took a little longer to sell, finance is slowing things down there, but most of that has now cleared since Christmas and we’re now seeing people coming back from holidays wanting to see new stock. Shane Hicks of Place Bulimba said consumer sentiment was as much to blame for slowing house prices as the stricter lending conditions. “The reports coming out of Sydney and what’s happening in the market there are causing people to think prices will drop here,” he said. Ray White New Farm principal Haesley Cush said he was not surprised by the figures. “We did feel a heavy drag on the market in November and December, on the frontline and at auctions and opens, and we think it was the downward pressure of the other states,” he said. Ms O’Dea said the lending landscape had impacted some sales in 2018 but buyers were now working out how to borrow in the tighter credit environment. “The new lending conditions caused some uncertainty — and the upcoming banking inquiry will cause further uncertainty — but buyers are finding their way in this new environment and working out what’s needed,” she said. Brisbane’s unit market did not fare as well, with Greater Brisbane units recording the steepest annual fall in roughly 17 years. Greater Brisbane units fell by 5 per cent over the December quarter, bringing its year-on-year figure to -7.9 per cent and units in Brisbane’s LGA recorded -4.4 per cent growth over the same 12-month period. Dr Powell said while Brisbane’s oversupply of units would eventually be absorbed, the stricter lending environment was stalling a recovery. “That changed lending landscape is really having a broader impact on all markets,” she said. “That quarterly fall for Greater Brisbane units is quite steep. But I think what’s happening here is that, as unit prices have fallen across Brisbane, buyers who may not have been able to afford a unit closer to Brisbane’s CBD are now able to afford it, so rather than buying further out in places like Logan and Ipswich, they’re coming closer into the CBD. Dr Powell said the unit market would recover despite the lending conditions, adding that the the price falls had created a window for buyers to purchase units at 2013 prices. “A number of dynamics will eventually see Brisbane’s heightened supply of units absorbed,” she said.